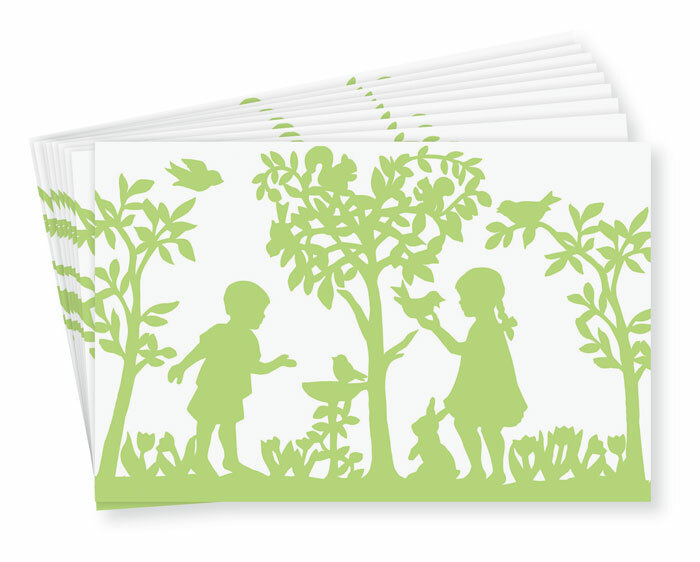 Our colorful silhouette of children with birds, bunny and squirrel is by Sharyn Sowell. The art is printed on heavy paper. The 24 placemats arrive in a cellophane package. Formerly $15, now 40% off. Discount may not be applied to prior purchases.